Nothing more frustrating than to have to stop exercising and not be able to do the hobbies and crafts you enjoy because of neck and shoulder pain. This is what happened to Alyssa. When Alyssa first came to our office, she was experiencing moderate to severe neck pain that radiated into her shoulder, midback and down her arms. This is a drag for anyone, especially when your job is that of a potter, like Alyssa. Upon performing an exam and X-Rays, we discovered that Alyssa had lost her normal lordotic cervical curve. This happens commonly when we engage in hobbies that require us to look down for long periods of time, which was the case for Alyssa. Liste to this video to hear how Alyssa has recovered from her neck, mid back, and shoulder pain and what she is able to do now! 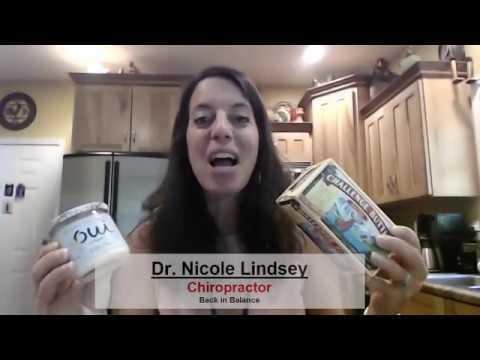 Chiropractor Asheville – Are dairy products good for you and your body? Did you grow up on milk like I did? Most of us have been raised on milk and could not even fathom giving it up. However, research is showing us more and more evidence that we should reconsider putting milk in our cereal. In fact, we may want to start using fermented products instead. What makes milk less healthful than its fermented counterparts? Watch this video to learn more. 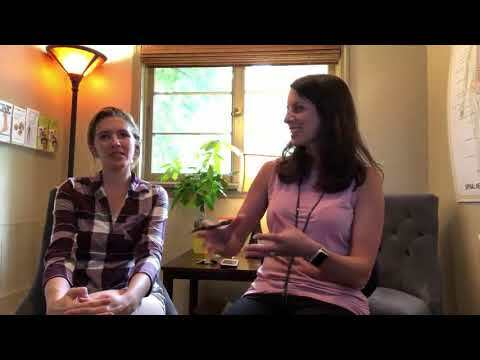 Asheville Chiropractor – Numbness No More! Numbness and tingling in your hands, feet or anywhere in your body can be a nuisance. It can be very difficult to use your extremities or to do activities like exercising, which was happening to Caitlin. Caitlin was experiencing numbness in her hands and feet on a regular basis. It became difficult for her to exercise so she gave up her workouts. This is all too common and can be resolved if the cause of the numbness and tingling is identified. Which is exactly what we did for Caitlin. There can be a number of reasons why your extremity is experiencing numbness and tingling. Some of those causes are pressure on a nerve in your cervical spine, muscle spasms in the forearm, injury to the shoulder, trigger points and adhesions in the neck, shoulder or arm, carpal tunnel or an autoimmune disease called Raynaud’s Phenomenon. Identifying the source of the problem involves performing a thorough evaluation, the range of motion tests, orthopedic tests, direct palpation, and X-Rays. It is COMMON, but NOT NORMAL. One of the most common sources of this problem is a decreased cervical curve and forward head posture. With the use of computers, mobile devices and the amount of sitting we do, this abnormal posture is becoming all too common. The normal cervical curve ranges from 35-45 degrees in the human spine with a zero mm head forward posture. When your curve is reduced and/or your head is shifted forward, there is a lot of pressure put on the muscles that attach to the occiput and the cervical bones. That alone can cause tension in the neck, head, and shoulders, headaches, stiffness and decreased the range of motion. In addition, there is a plexus of nerves that exit the lower cervical spine. This network of nerves runs across the shoulder and down into the arms and hands. When we have a loss of cervical curve and/or forward head posture, we will have muscle tension and pressure on the brachial plexus. This is one of the most common sources of numbness and tingling in the hands and arms. Once the source is found, a chiropractor can work to resolve the issue. This may involve chiropractic adjustments, therapies to reduce muscle spasms, hands-on trigger point release to break up adhesions and cervical curve correction. In addition, home stretches, exercises, and modifications to your desk should be given to help you maintain the correction long lasting. Once you know, you know! People like Caitlin do not have to give up healthy activities for these problems. They just need to find a Chiropractor that can help them find the source of the problem and fix it. If you are experiencing numbness and tingling in your body, get checked by a Chiropractor. You may be missing out on all the fun because you just didn’t know what you now know! More than 80% of people do not get the recommended 150 minutes of physical activity per week. That’s a bummer because regular moderate exercise can prevent risk factors for diseases like high blood pressure and obesity, and can reduce the risk of chronic diseases like heart disease, some cancers, type 2 diabetes, and depression. Granted, busy schedules and other distractions can make it hard to stay active, but the evidence shows that you can literally walk your way to being healthier. Watch this video now to find out how to fit this into your schedule. Click the Red More Button in your email or the image below if you are on our website. Researchers from Harvard published a study in the Journal of the American Medical Association, finding that whole grains are associated with a lower risk of death. 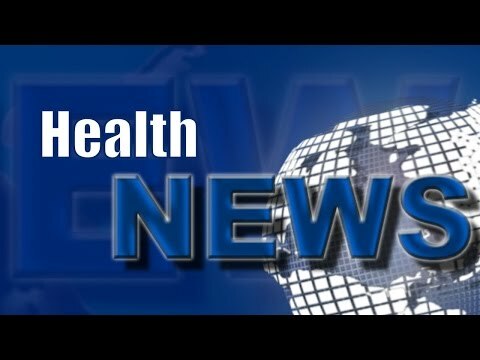 The researchers used data from two large groups of people—from 74,341 women who enrolled in the Nurses’ Health Study (1984-2010), and from 43,744 men who took part in the Health Professionals Follow-Up Study (1986-2010). Watch this video now to find out what the researchers found out. Click the Red More Button in your email or the image below if you are on our website. Studies show that cognitive disorders such as Alzheimer’ disease, depression, schizophrenia and attention deficit hyperactivity are associated with changes in the brain that are caused by long term chronic pain. Chronic pain is defined by that which last for 6 months or longer. Watch this video now to find out an effective way to eliminate chronic pain while at the same time restore normal brain function. Click the Red More Button in your email or the image below if you are on our website. Chiropractor Asheville – To Smoothie Or Not to Smoothie? Smoothies have become synonymous with many things, including nutrition, convenience, and of course, deliciousness. But the smoothie revolution may have a dark side according to the New York Times, all that fruit and certain vegetables often translates into a lot of sugar. In addition, fruits’ natural fiber, although still present, gets pulverized in the blender. Watch this video now to Choose your Smoothie wisely! Click the Red More Button in your email or the image below if you are on our website. Chiropractor Asheville – Can you survive on less sleep? Everyone thinks that surviving on less sleep would be the best of all worlds. You would be much more productive, get time for all the things you want to and have time to sit back and relax, right? Watch this video now to learn exactly how getting less sleep might be more than you bargained for. Click the Red More Button in your email or the image below if you are on our website. A MAC, better known as Microbiota-Accessible Carbohydrates. These Microbiota-Accessible Carbohydrates are what feeds your system to protect you against inflammatory diseases, colon cancer, metabolic syndrome, type 2 diabetes, or cardiovascular disease. Watch this video now to learn exactly what you need to be eating to keep your ecosystem functioning as it should. Click the Red More Button in your email or the image below if you are on our website.